Having healthy teeth throughout your life starts with the dental hygiene habits that you establish as a child. Caring for your teeth at a young age can help you maintain a full set a healthy, strong teeth long into your retirement years. 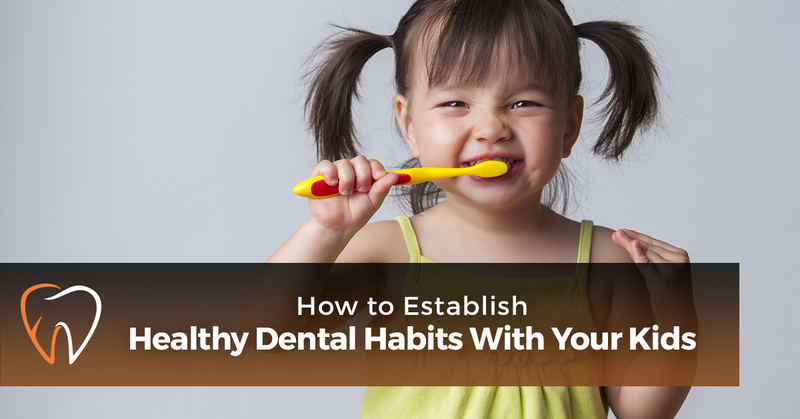 If you want to help your children establish habits that will help them keep their teeth healthy for the rest of their lives, the time to start is now. 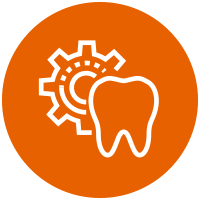 Our office in Chicago cares about dental health and loves to help patients–old and young–discover ways they can care for their teeth outside of our office walls. 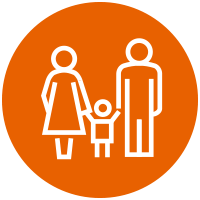 We can help parents learn how to establish those healthy habits at home with their kids, too. Here are some of our favorite tips! Start a dental care routine when they are young. The more you make dental care a part of everyday life, the more likely your child will be to carry those habits on through their lifetime. You should start a dental care routine with your child as soon as their first tooth appears. You can clean their teeth with a washcloth in order to remove plaque at first. When they have multiple teeth, you can start brushing their teeth with a small toothbrush and kid-friendly toothpaste. As they get older, teach them to do the task themselves and ensure that they clean all sides of their teeth. Most kids are ready to take on this important job around the age of three or four. Setting a timer can help younger children understand how long the task should take, too, so they don’t try to rush through it. Make dental health as fun as possible. Oral health might not be the most interesting thing your kids do in their day, but it is one of the most important. That’s why it’s important to try to make dental care fun! Allowing children to pick out their own toothbrush is a great start; a lot of children are encouraged to brush their teeth when they’ve been able to choose a toothbrush with a favorite character on it or in their favorite color. You can also allow them to pick their own toothpaste. Singing a song to them while they brush their teeth can help make it a fun group activity as well as help them know how long they need to brush. Encourage healthy eating and drinking habits. What your child eats and drink has a big impact on the health of their teeth. Unfortunately, a lot of what kids want to eat it’s that great for their teeth. Items like hard candy and soft drinks are actually terrible for their teeth. The sugar in these items feeds the bacteria in the mouth, which can promote gum disease and cavities. If they do consume these items, encourage them to brush and rinse their mouths afterward to help mitigate the damage. You should also limit sugary treats at bedtime, as the sugars can end up sitting in the mouth overnight and doing more damage to their teeth. Foods like apples, carrots, celery, and spinach are all great for teeth. Try cutting them up and serving with dips to encourage your child to eat more of them, or sneak a few into a smoothie (they won’t know the spinach is even there!). You can check out more teeth-friendly foods here. Make annual dental checkups routine. Children who grow up going to the dentist are adults who are more likely to get their dental exams, too. Make it a habit to get your whole family to the dentist for a check-up at least once a year. 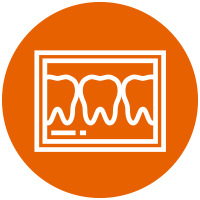 If your checkups have been relatively free of concerns, then you can maintain the annual schedule. If your family is more prone to cavities, gum disease, and other dental concerns, then you might want to go in twice a year or even more often to help prevent major issues. Either way, this will become the norm in your family and something your children see as an everyday part of life. It can help eliminate fear about going to the dentist, too! Let them share with family and friends. Children will look forward to their trips to the dentist if they are encouraged to share positive feedback they received with their family and friends. After a good checkup, let your child call their grandparent or a favorite aunt or uncle to share the great news that they got at the dentist. Maybe it’s that they are cavity-free again or that they had fewer cavities this time than last time; whatever it is, let the news be shared so they get outside positive reinforcement for their visit to the dentist. Your children are watching you, so be sure to set a good example about your own oral health. Brush morning and night, eat plenty of teeth-friendly foods, and get your dental check up done every year. When your kids see that you care about your own oral health, they will want to take care of their own. Many parents brush off establishing healthy dental habits until their child’s permanent teeth have come in. We strongly caution you not to take this approach with your child! Their first set of teeth will have an impact on their permanent teeth later in life. Not only are those first teeth a chance to establish healthy habits now, but those teeth will affect the placement and spacing of the permanent teeth when they grow in. So treat their first set of teeth like it’s their permanent set; it will help your child have healthier teeth long into their future. Looking for a trusted dentist for your family? Enamel Dental Studio in Chicago is now taking appointments. 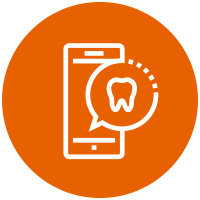 Get in touch with our dental care team and make an appointment either by giving us a call or contacting us through our website. We look forward to seeing you in our office soon!